When we arrived back in Penzance on the ferry it was already pretty late in the evening so we picked up the car and headed out to our accommodation for the night at the Penzance YHA. Our previous YHA stay at Hadrian’s Wall had been ok but we had ended up on bunk beds, when we pulled up at this YHA our hopes rose a bit when we saw that it was a converted castle, unfortunately when we got inside everything was lime green and we were on bunk beds once again. After I claimed the top bunk and we prepared to settle in to watch the Wallabies play England in the World Cup Jess got a craving for KFC so we jumped in the car and raced off. The food was terrible, KFC in England is a significant step down from Australia (says a lot) however the trip was worthwhile for the hilarious exchange at the counter when they nearly called for a translator due to their inability to understand Jess’s thick accent, even going so far as to lament that their staff member who had once been to Australia wasn’t there to translate. After our underwhelming dinner we headed back and settled into the lounge to watch the rugby, I was updating the last blog and thought I was being respectful of the entirely English crowd packing the room. I was sitting up the front working away on the laptop and discreetly fist pumping every penalty and try… It was only at the conclusion of the match when I looked up and saw thirty people staring at me with hatred in their eyes I realised they may not have enjoyed the match as much as I, nor my presence for their humiliating defeat. As they settled in for an evening of self-loathing we went and got an early night so we would be fresh for the next days adventures. 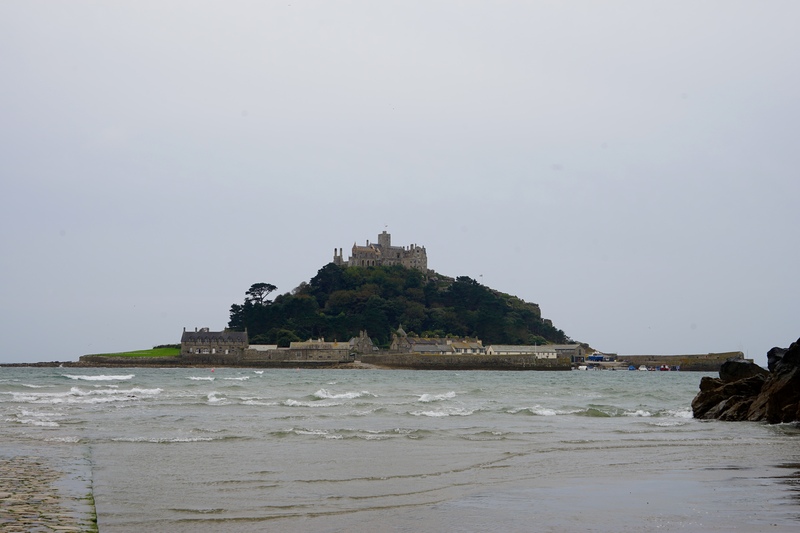 Our first stop was St Michael’s Mount, a castle set on top of a mountain, on an island off the coast of Cornwall. 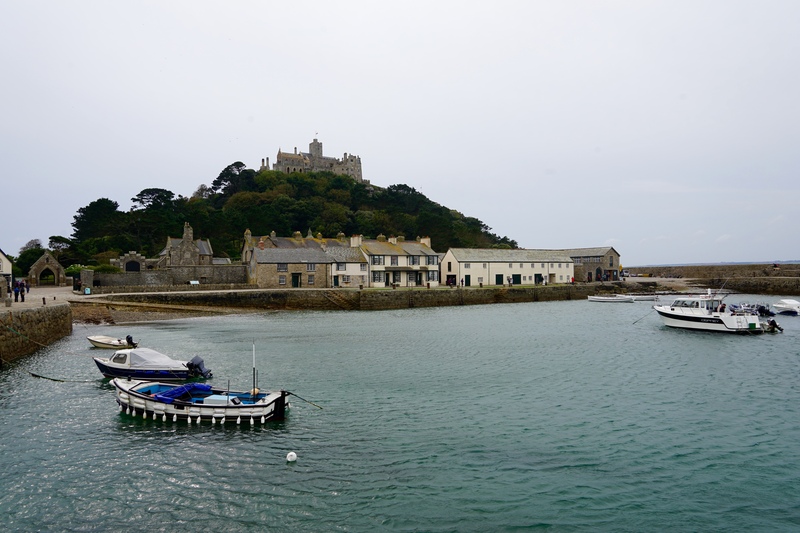 During low tide the castle can be reached by a stone causeway that snakes across the bay from the mainland and up to the island’s small harbour, unfortunately at the time we arrived it was both high tide and incredibly windy, meaning a very exciting ten minute boat trip which resulted in a few people getting quite wet. On arrival we did a tour of the village and harbour before making the climb to the castle which has been occupied by the St Aubyn family since the 17th century. During our tour the guide informed us that all residents of the island have first aid and fire training as it can take a long time for emergency services to arrive, but they only ever needed to use their training for suspected heart attacks and rolled ankles as tourists climbed an descended from the castle… On that note we commenced our ascent up the near vertical cobbled paths and after a gruelling twenty minutes made it to the cannon platforms and the castles relatively intact which was more of an accomplishment than it sounds when Jess’s boots were taken into account. From here we headed over to the town of Tintagel where Jess went to explore all of the King Arthur & fudge shops whilst I sampled the local cider and watched the soccer. Unfortunately Manchester got thrashed 3-0 so I continued to drink the cider until it didn’t seem quite so devastating, for dinner I attempted the mighty King Arthur burger and for the first time in my life the burger won. A disappointing end to a disappointing afternoon. 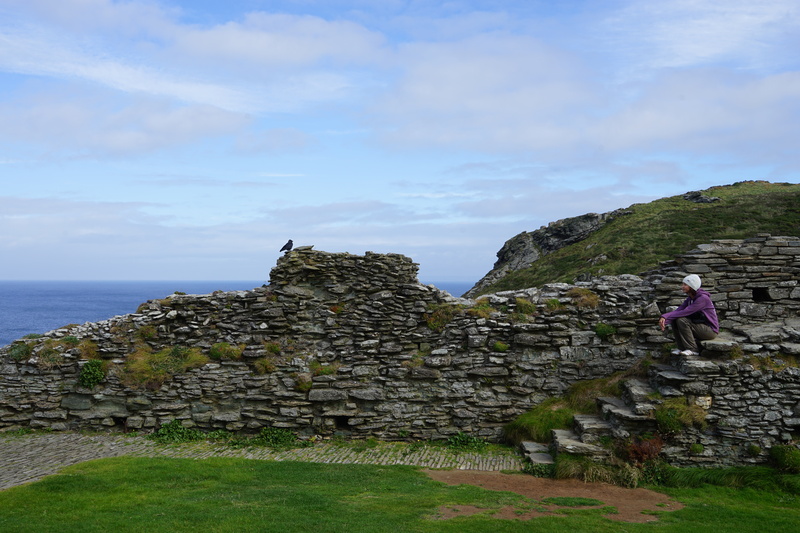 The next day we got up early and hiked over to the ruins of the original Tintagel Castle, one of the sites Jess was most excited to visit in the UK due to its role in Arthurian legend as the the place that Arthur was allegedly conceived. Our early start meant that we were the first people to climb the stairs and cross the bridge out onto the island on which the castle was built. 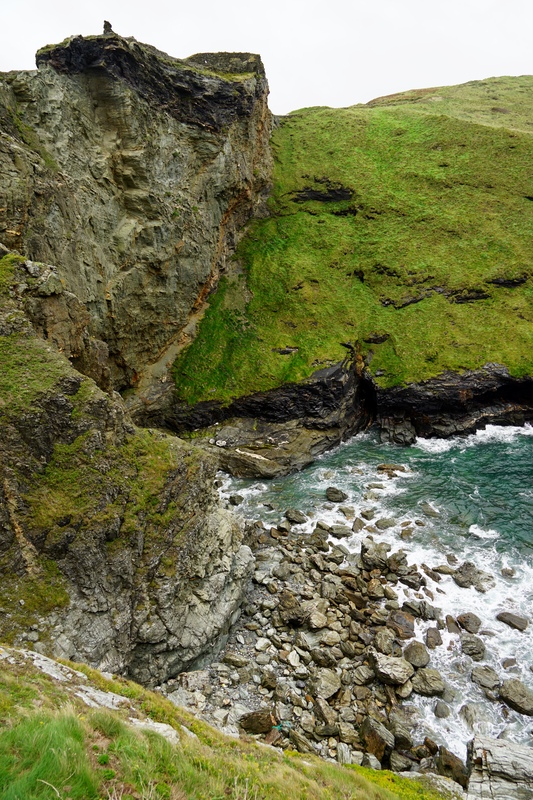 It was once the end of a peninsula but the harsh weather had seen it eroded making it a horrible site to build on. 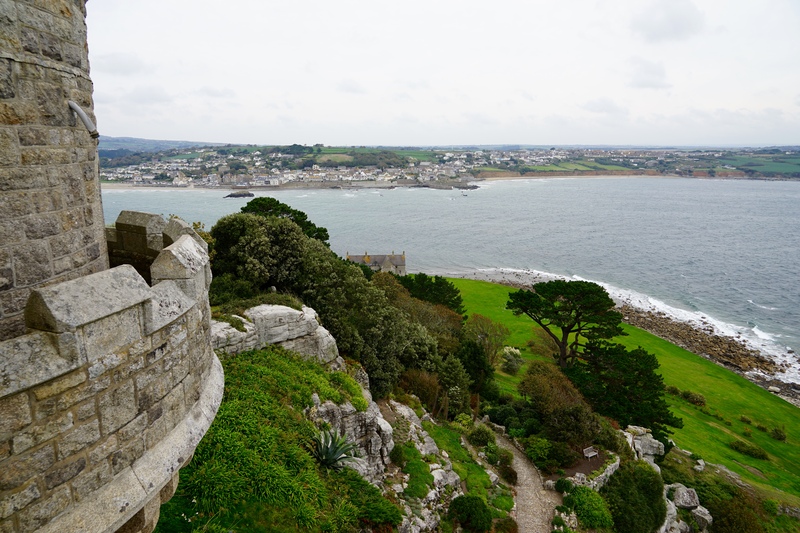 Richard, the Earl of Cornwall, decided to build here in the 1230’s despite how dangerous it was and how pointless a position it was tactically solely so he could link his family line to King Arthur to increase his standing and prestige with the common folk of the time… Good marketing. 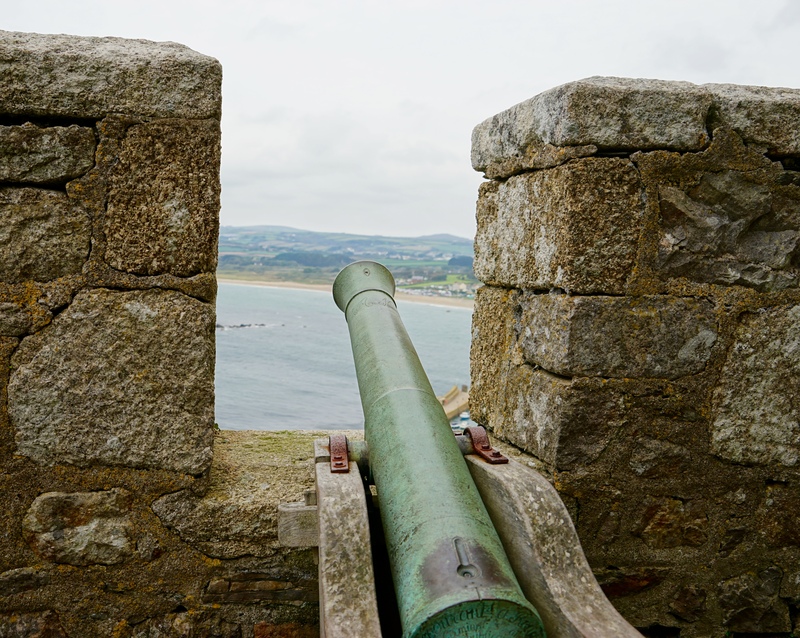 Some sections of the 13th century castle are well preserved in some points so we spent much of the morning exploring the ruins and the cliffs. 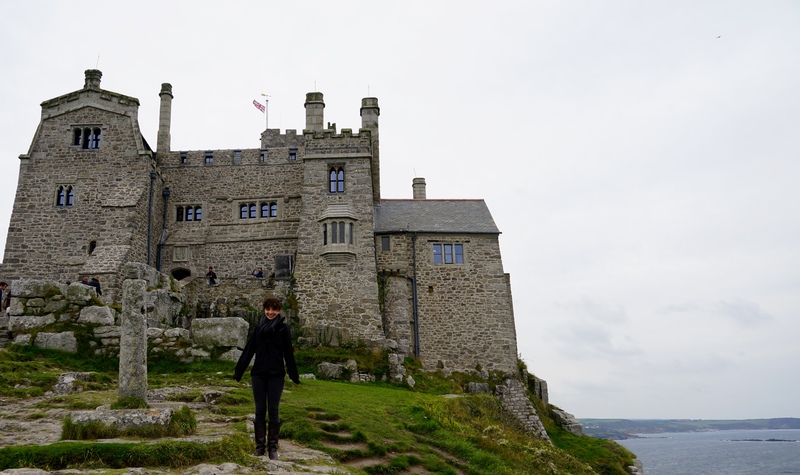 We were hoping to explore Merlin’s Cave but the tide was still to high to get down on to the beach so we instead headed to King Arthurs Great Hall, an attraction built by an eccentric millionaire in the 1930’s. It purpose when built was to promote Christian values and chivalry, however now it is primarily a tourist attraction. 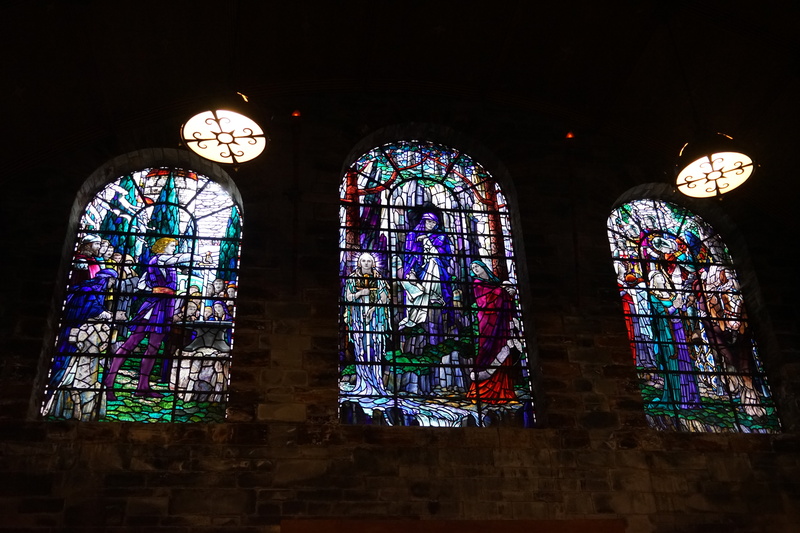 The experience begins with a narrated laser light show about Arthur’s life in a dark room whilst you sit on thrones before you head through to the great hall. 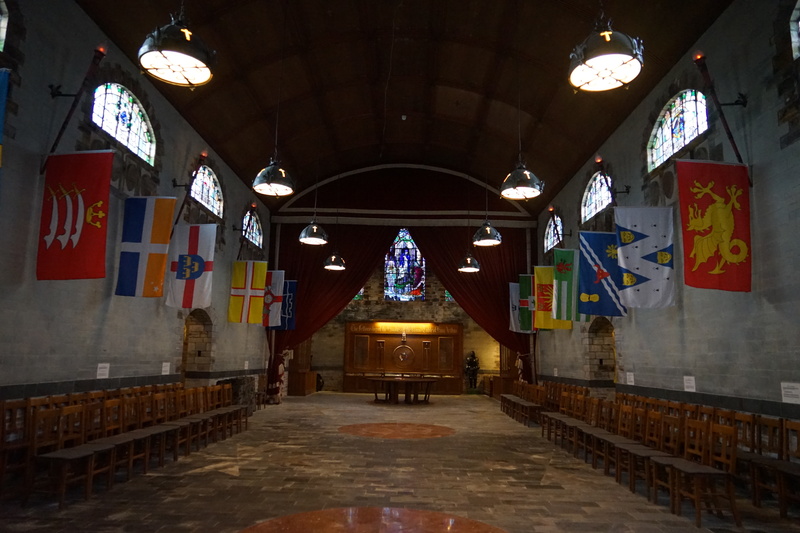 In the great hall there is both a stone and a wooden “round table” with places marked for all of Arthur’s knights as well as a series of famous stained glass windows. 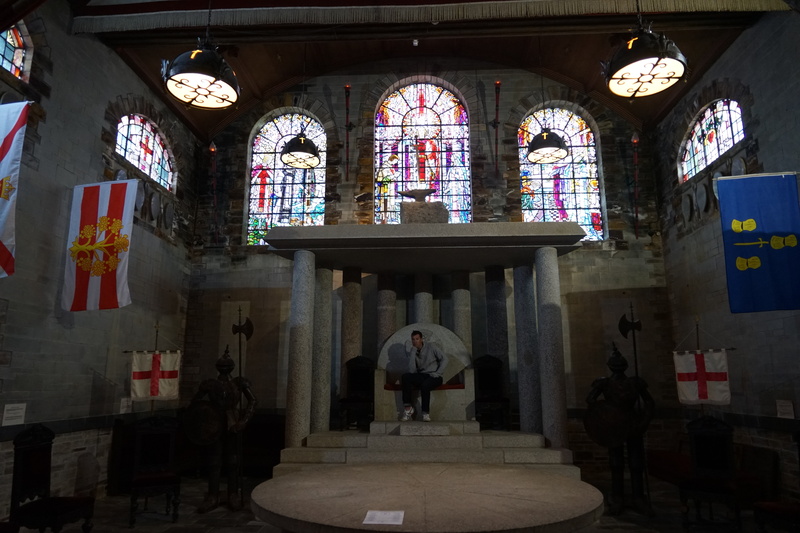 I took the opportunity to hang out on the throne whilst Jess explored and read up on all of the knights and checked out the windows. 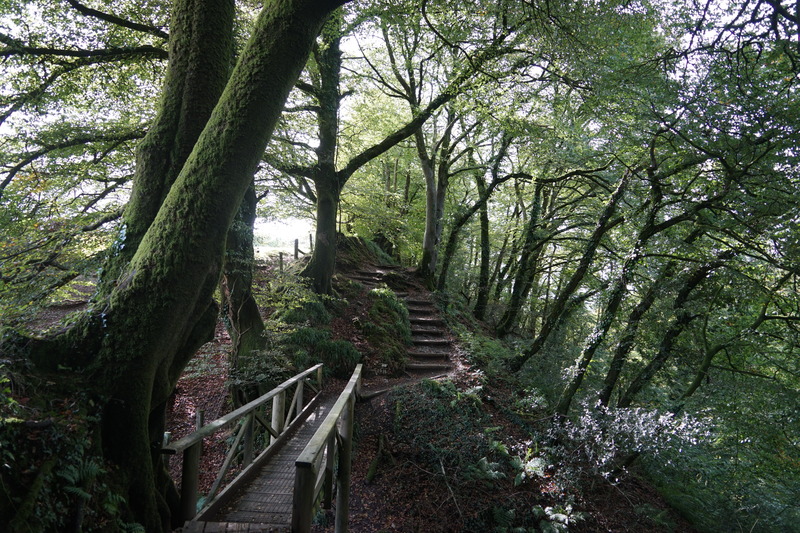 On the way out we discovered “The Order of the Fellowship of the Knights of the Round Table” a group founded eighty years ago by people knighted by the previously mentioned eccentric millionaire that is still running today, we opted not to join and instead headed for Melin’s Cave. 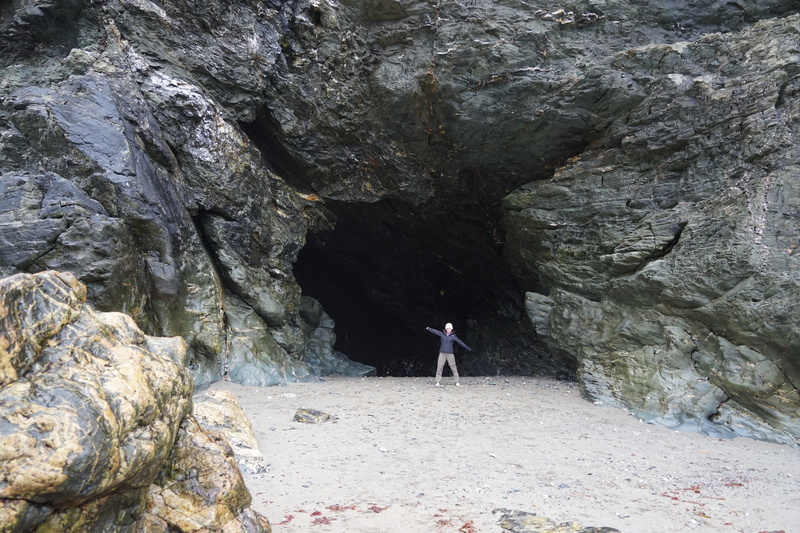 The tide had finally receded enough for us to get down on to the beach and explore Merlin’s Cave, a cavernous cave that is completely submerged at high tide yet has been attributed to Merlin due to it’s proximity to where Tintagel Castle once stood. 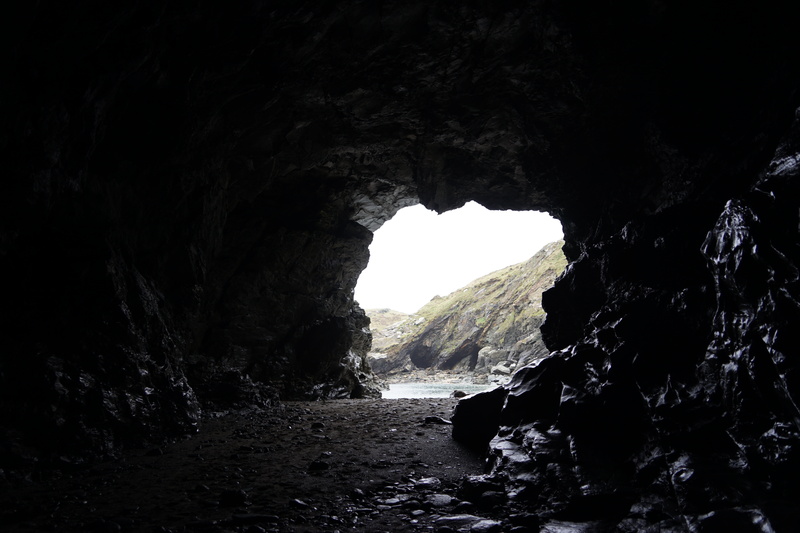 Whilst it’s status as former home to a prestigious wizard is somewhat dubious it was a very impressive cave, if a little dangerous to clamber around in as it was wet, slippery and dark. 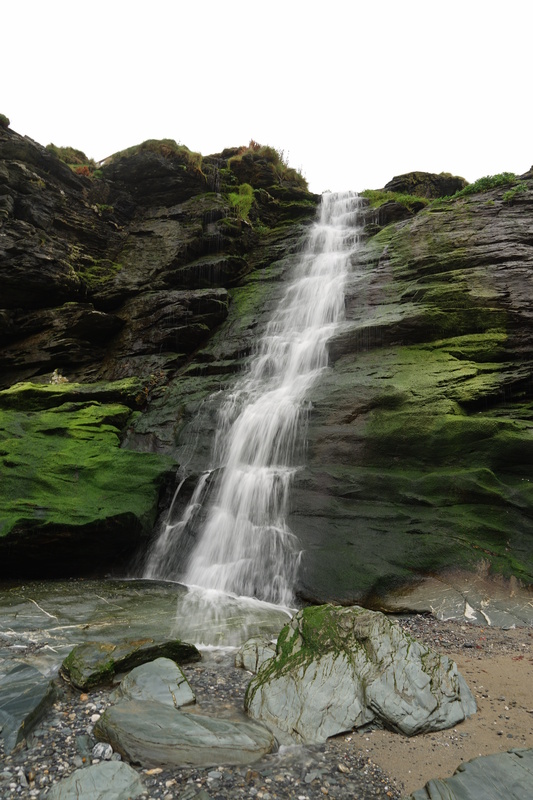 We also found a waterfall on the beach, I’m not sure which legendary figure it is named after but I’m sure it has been attributed to someone. 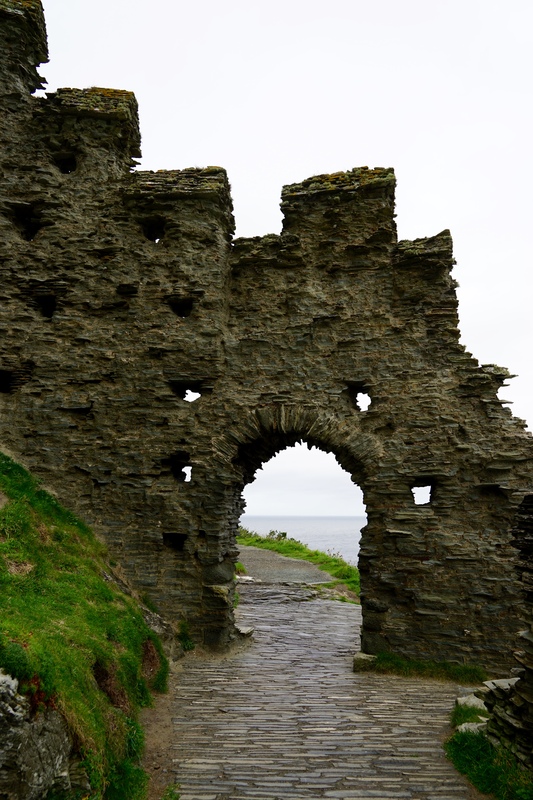 Tintagel has been doing very well over the years as a tourist destination by cashing in on it’s links to the legend of King Arthur, that being said the castle ruins were amazing and the hall was definitely fun and worth doing, despite our initial reservations. 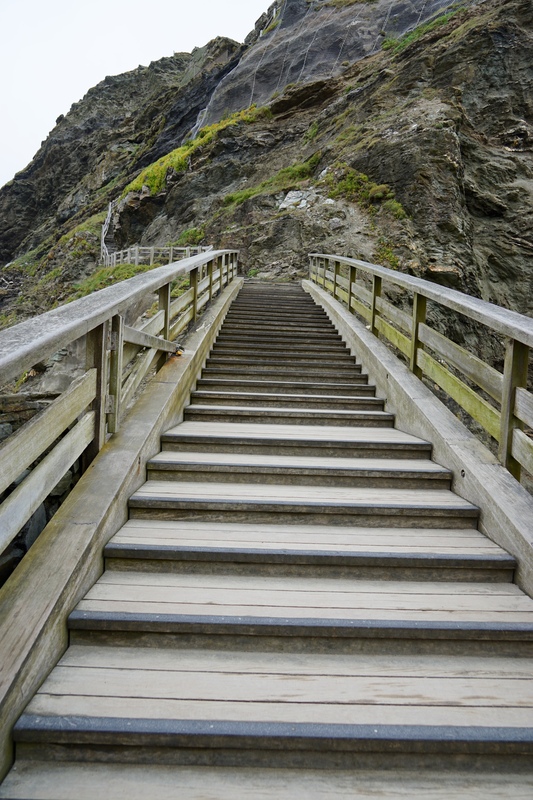 The next morning it was time to leave Tintagel, after hauling our luggage down 3 flights of stairs and completing a 300 point turn to get out of the carpark we were off to our next destination, The Eden Project. 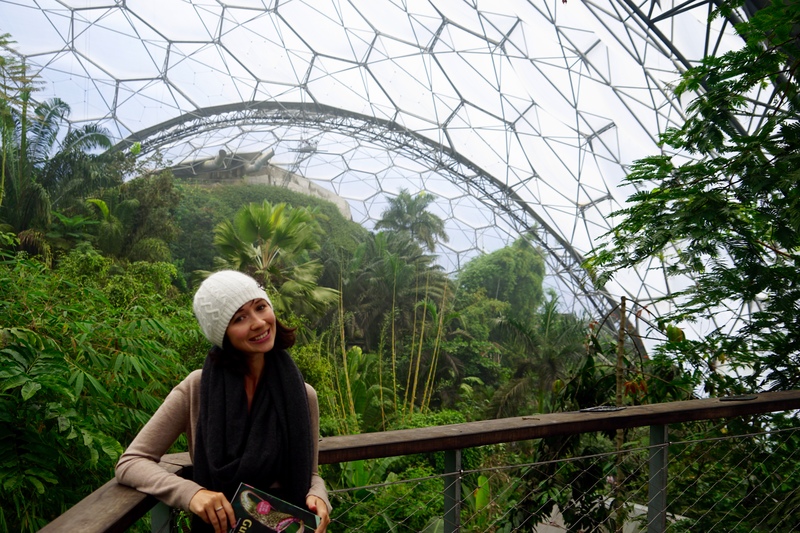 The Eden Project is a giant converted quarry that features two enormous biomes, plastic bio-domes used to create and maintain different eco systems, as well as a range of outdoor gardens, an education centre and some thrill rides such as zip lines etc. Unfortunately the weather was uncooperative on our visit so we were unable to do any of the thrill rides, this ended up being fortunate though as we ran out of time anyway, despite only exploring the biomes. We started out in the “rainforest biome” which was the largest of the two, as soon as we stepped inside the humidity and temperature were significantly higher, to the extent that they have built an air conditioned “cool room” half way around for those poor British folks unused to a bit of warm weather. Conditions had nothing on build up in the Northern Territory so don’t worry, we were fine. The biome showcased a variety of different tropical and sub-tropical ecosystems ranging from South Pacific Islands, South America and Africa. It was incredibly well put together and has been constantly evolving for the last fifteen years and is now at a point that unless you look up at the roof you would be hard pressed to identify that you aren’t actually in the middle of the rainforest. 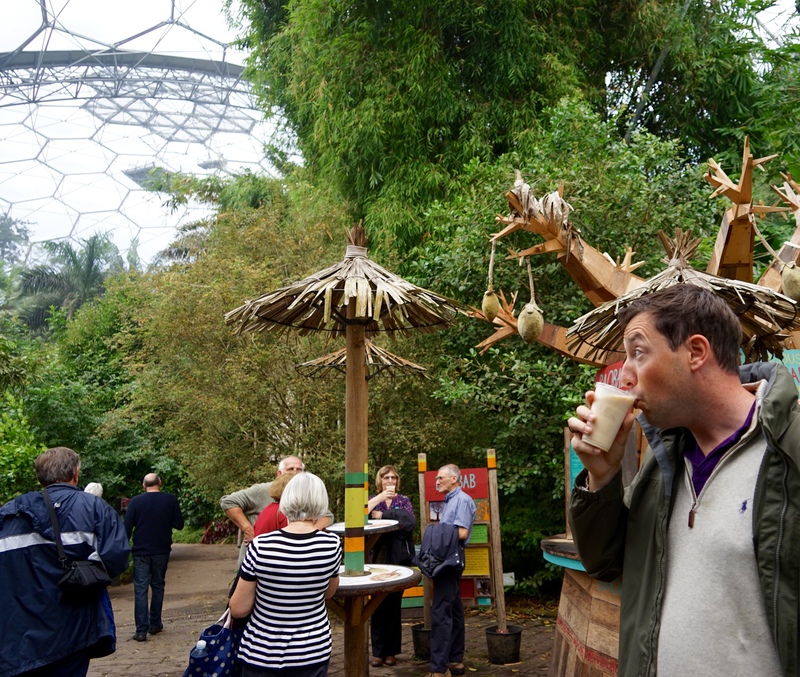 There was an opportunity to walk amongst the treetops on a walkway around the roof of the dome as well as the chance to sample a weird smoothie made out of an African tree, fortunately you could have this served as a rum cocktail which was unsurprisingly the option I took up. Our next stop was the “Mediterranean biome” in which there was a less dramatic change in climate and a shift in focus, with this dome focused on showcasing the sustainable growth of fruit, vegetables and spices. 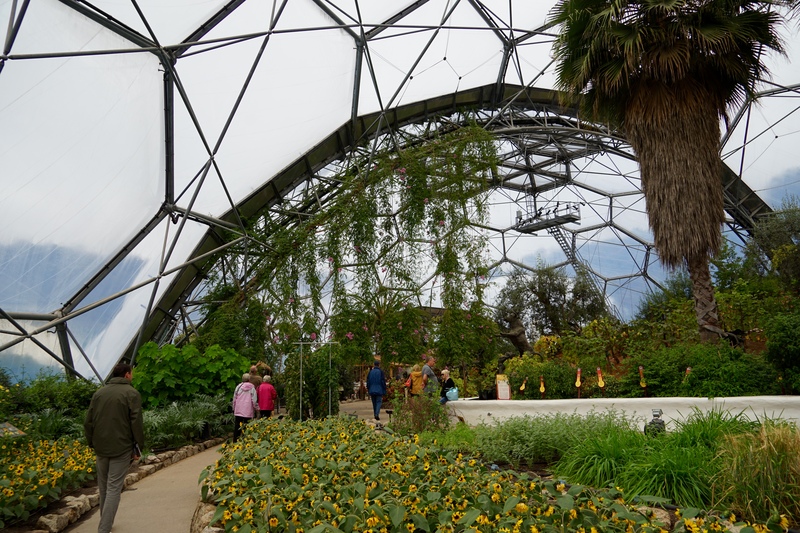 It was a smaller space to explore but we were in here for a while as we decided to have lunch at the Mediterranean Terrace, a restaurant specialised in sustainable food options and utilising ingredients grown in the dome. Food was delicious and it was over lunch that Jess began to hatch her plan to live in a dome, it was at this point that we realised we were running out of time and had to quickly head across the moors of Dartmoor before night fell. We somehow made it across a series of tiny overgrown single lane roads that had us questioning the ability of our satnav and got to our accommodation, the next morning when heading to Buckland Abbey we realised all of the roads in Devon are actually ridiculously tiny and promptly forgave the satnav. 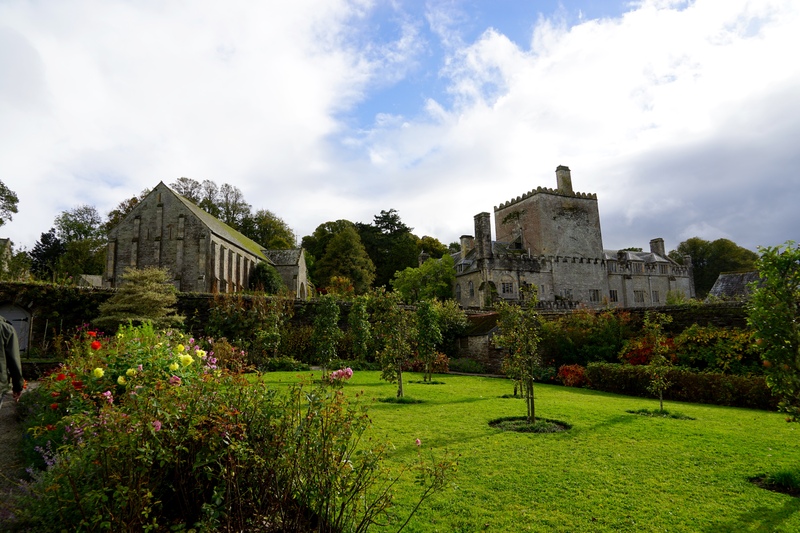 We arrived at the abbey which turned out to be the home of Sir Francis Drake, the famous British navy hero/pirate, after the abbey had been converted into a private residence it was bought by Drake and his family lived in the giant house for generations afterwards. 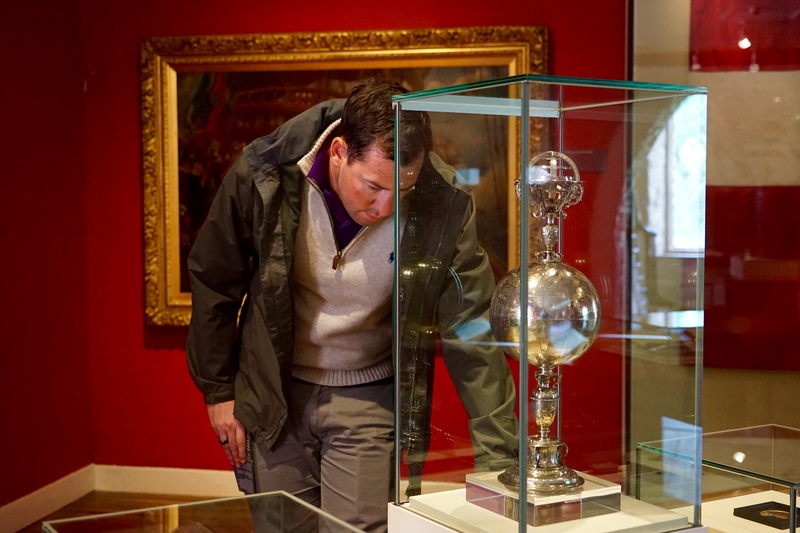 As well as being a ridiculously luxurious home it was packed full of relics from Drake’s nautical adventures which were really interesting to check out. 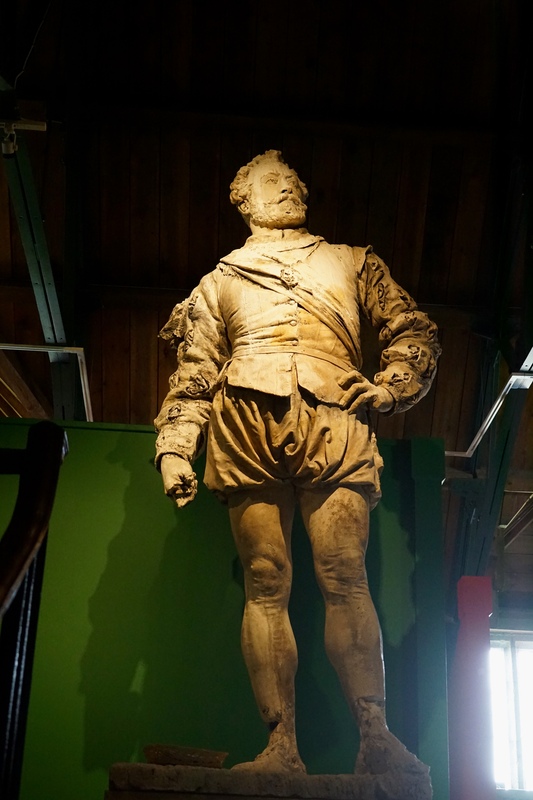 There was also a giant statue that I believe he had commissioned of himself, love his style. From Drake’s place we headed to Castle Drogo, despite the name there wasn’t a single Dothraki to be seen, instead there was lots of scaffolding. Castle Drogo was not a traditional castle, in fact it was only built in 1930 on the orders of yet another eccentric millionaire. When it was built he overruled his architect and dictated that he wanted his castle to have a flat roof instead of pitched to make it seem more like a medieval castle, resulting in a building that has leaked since completion and is now costing The National Trust millions of pounds to make watertight. 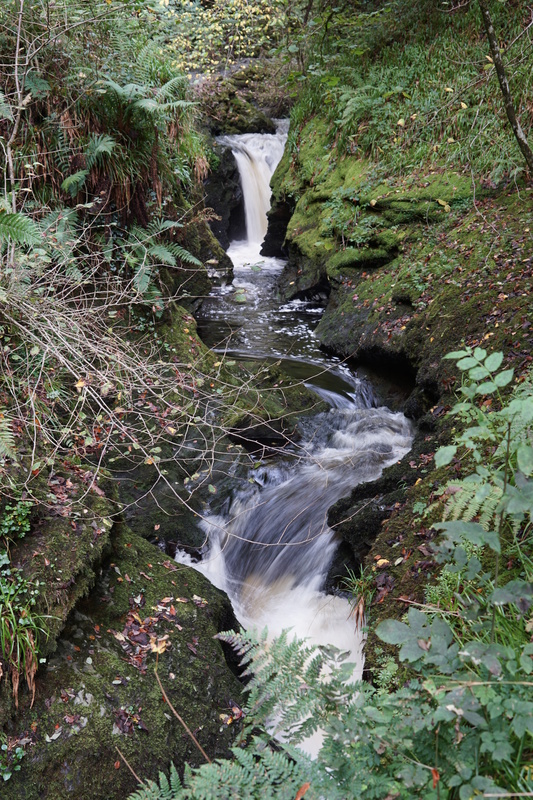 These works meant that the building wasn’t open in it’s full glory so after a quick tour we headed off to Lydford Gorge. 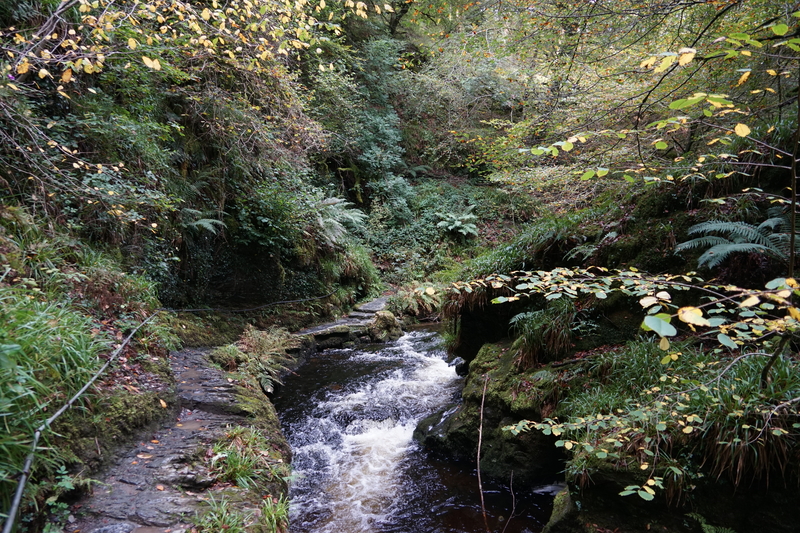 We had read a few warnings online about how treacherous the hike around Lydford Gorge was, fortunately they must have been directed at the more senior of the national Trust audience as it was a leisurely stroll compared to some of the ridiculous hikes and climbs we’ve attempted so far on the trip. 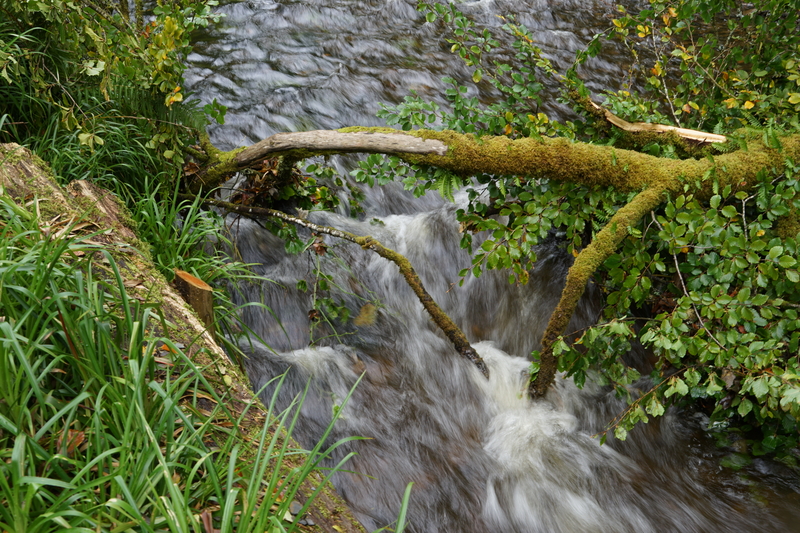 It was a great nature reserve and the walk followed a route around the river and took in three major waterfalls. It appears that the area is also somewhat of a mecca for photographers as they were set up all over the place with all of their expensive gear jockeying for position to get the perfect photos. Jess was keen to observe and learn from these guys and check out how they set up their shots and what equipment people were using. After a while Jess realised that I was getting bored and moved to her tried and trusted strategy of giving me the camera so that I am distracted and she gets to stay for longer exploring. 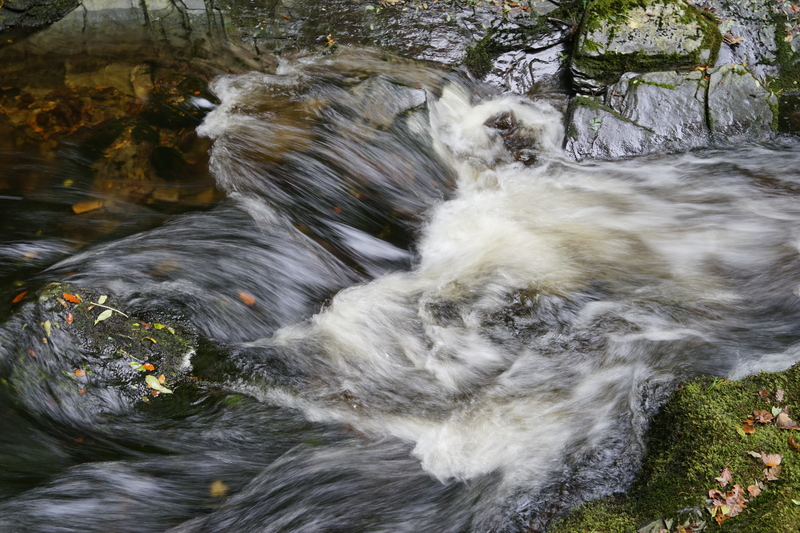 This time it backfired spectacularly as I got a water photo obsession and spent ages playing with the camera trying to get the perfect shot to the point that Jess was getting bored walking around the nature reserve, a first for the holiday. On our way home we were driving across the moors in Dartmoor once more, this time we pulled over and decided to hike to the top of a mountain in the freezing cold wind. I’m still unsure why we decided to do this as the wind was horrific, however the views were incredible from the top as it is a crazy landscape. It is hard to capture it in a photo but the views were amazing and we could see all the way to the mouth of the River Tamar and the River Dart on the coast. We headed back to our accommodation for a delicious pub meal and a few ales before heading to bed and packing up our bags so we could head off early to Glastonbury the next morning. Thats all for today, the next blog will cover our last week in England with highlights such as Stonehenge and Harry Potter studios. After that it will be back to short action packed blogs as we move from city to city every couple of days for our final three months and our whirlwind tour of the continent. First stop Belgium… We hear they do good waffles.